if you follow me on facebook then you will know that i went on a special errand yesterday to drop some goodies off to the lovely girls at cultiver in ipswich. 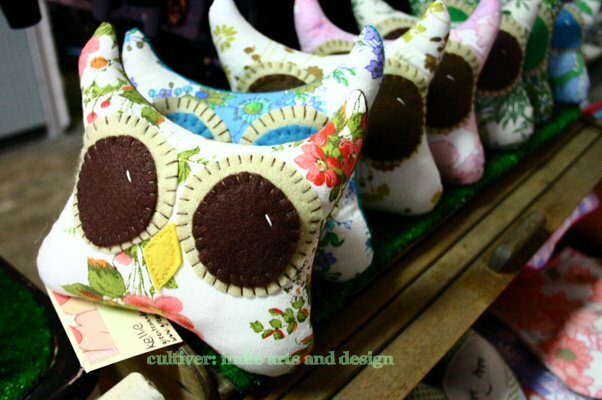 they will be stocking some 'green tea and red nails' owls, softies and bibs! yay! i was more than a little bit excited to be part of such a fabulous space and will definitely be signing up for some of their christmas workshops. if you live in or around ipswich then i definitely recommend popping in for a browse and a chat... and some handmade christmas shopping! 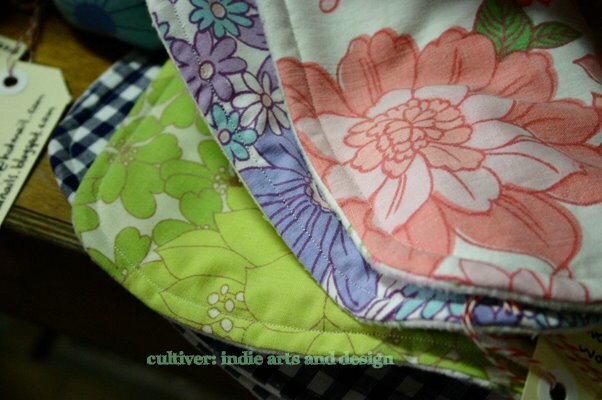 p.s - photos from the cultiver facebook page. my camera is still on holidays with my sister. 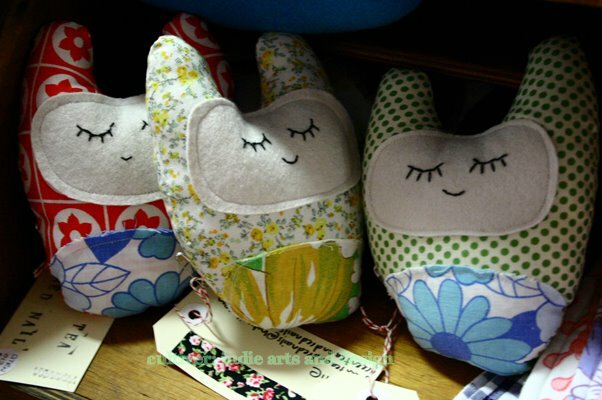 Aw, these are so cute!!! Wonderful stuff!! your owl peeps are the cutest!!!!! oohhh! How much are the softies? Do you have an etsy store?